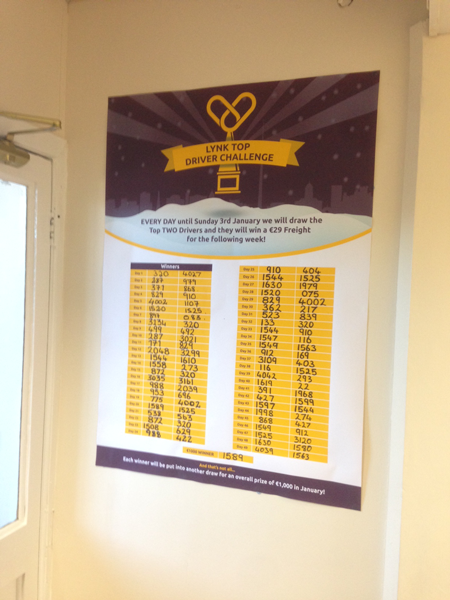 The Daily Driver Challenge ran for 50 days, in the lead up to the New Year, which saw the top two drivers each day (top drivers were those who completed the most Lynk jobs) receive a reduced freight the following week. The promotion was a massive success and the drivers saved in excess of €5,000 in freights, during the period. 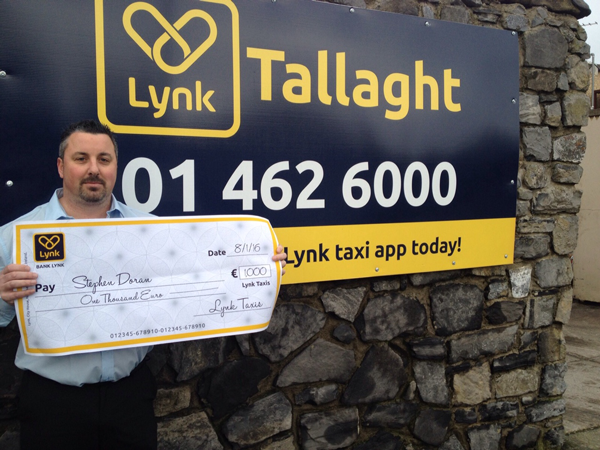 After the challenge ended, all daily winners were entered into a big draw to win €1,000 in the New Year. We would like to thank all Lynk drivers for their efforts over the Christmas period and special thanks to the drivers who made the top leader board in reception. 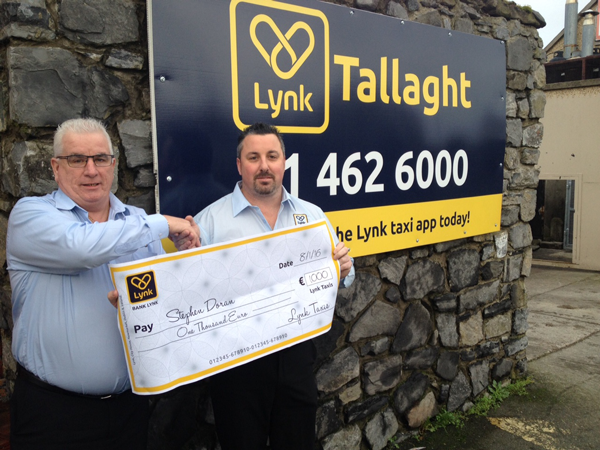 Big Congratulations to Lynk driver Stephen Doran (right) who won the big draw for €1,000. When asked what he would spend the money on, Stephen replied “Awww sure a few pints anyway”. A man after my own heart.